Karnataka is a treasure house of history, natural beauty and lip smacking cuisines. Pack your bags and head towards this state for an immemorial vacation. We have designed Tour of 6 Days Mysore Ooty Kodaikanal Karnataka to explore the green hills, temples, wildlife, palaces, waterfalls etc. Today after you arrive at the Bangalore airport our tour representative escorts you to the pre-booked hotel. 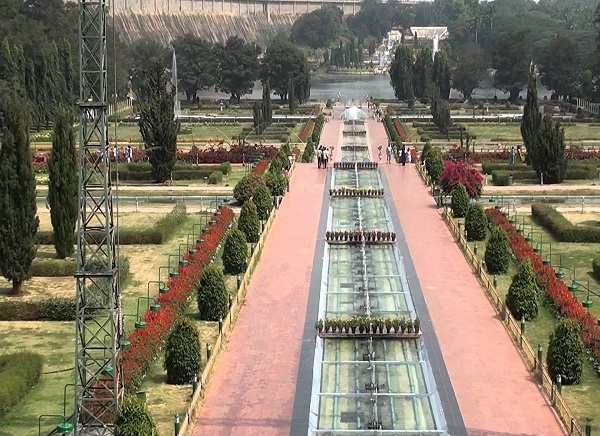 After some refreshment, you are taken to the world famous Brindavan Gardens at the Mandya district, lying just at 24 kms from Mysore. This symmetrically laid terrace garden is a treat to the eyes. A replica of the Shalimar Gardens of Kashmir, this green patch is decorated with parterres, fountains, flower buds, shrubs and trees. After this relaxing stroll through the lush greenery of the garden you return to the hotel for an overnight stay. Today after breakfast we visit the 1050 meters high Chamundi Hill. Atop the hills is one of the oldest shrines of the city, the Chamundi Temple, dedicated to Goddess Kali. 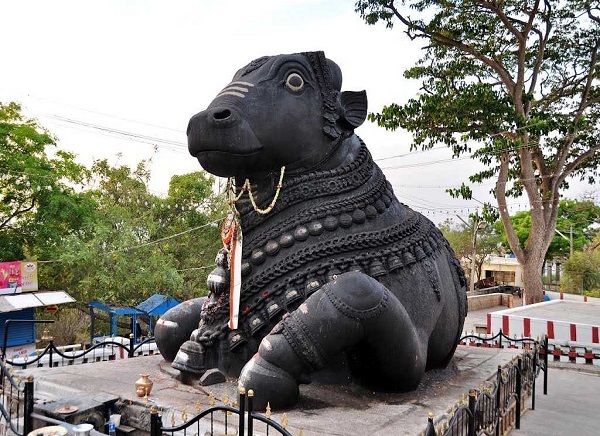 We also visit the Bull Temple, dedicated to the vehicle of Lord Shiva, Nandi. This is a 4.5 meters tall and six meters long monolithic bull has been carved out of a single rock. Last but not the least; we take a tour of the amazing Mysore Palace, known worldwide for its opulence and grandeur. This three-storied structure exhibits Indo- Saracenic style of architecture and is a blend of Hindu, Islamic, Rajput and Gothic style of construction. This stone palace has marble domes and is lively with fine sculptures of Gajalaxmi, the goddess of wealth, prosperity and good luck. After this we drive to Ooty and check in a pre-booked hotel. There is an overnight stay here. Today after a sumptuous breakfast we set out to feel the breathtaking natural bliss of the Queen of Hill Stations, Ooty. Our first destination is the 22 hectares of Botanical Gardens. This sprawling garden is a collection of rare colored lilies, flowering trees and shrubs, including a 20 million years old fossil tree. We also enjoy a small trek to the Doddabetta Peak, a reserved forest area and also the highest peak of the Nilgiri Hills; you can get a panoramic view of the spellbinding beauty of the landscape from here. Now is the time for a mesmerizing visit to the Rose Garden; a 10 acres yard filled with rose tunnels, bowers, pergolas and rose creepers. The garden consists of 3600 types of roses. Today’s trip ends with a visit to the Charing Cross. You can also shop for souvenirs at Ooty and after lunch we visit the Tea Museum. 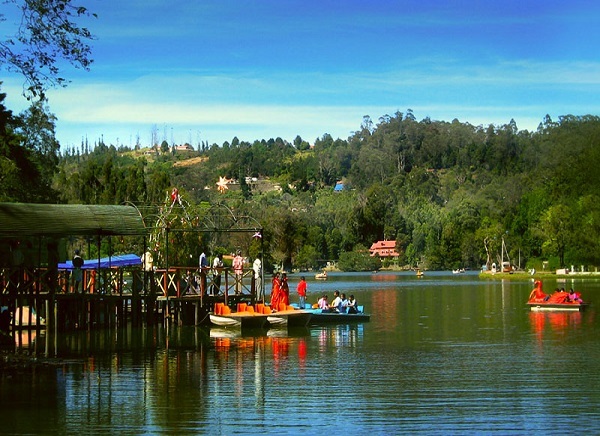 Evening is romantic with a boat ride over the crystalline waters of Ooty Lake. There is an overnight stay here. Today after breakfast we head towards Kodaikanal, another place of befitting natural beauty. You can opt for a toy train drive to Coonoor, a fun ride through the sprawling greenery of the hill station. 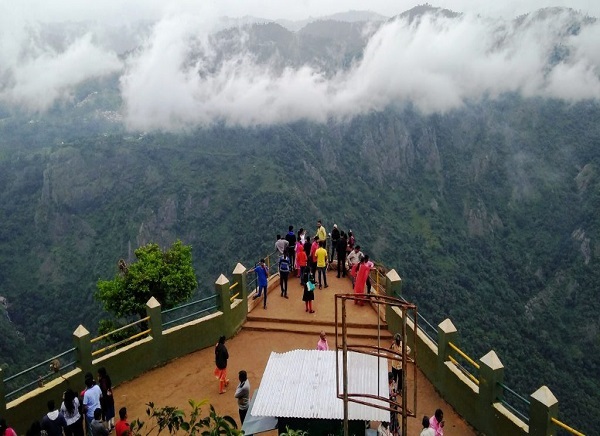 We then visit the Lamb’s Rock and the Dolphin’s Nose at Coonoor. The Dolphin’s Nose is a piece of rock over a chasm of almost 2000 meters’ depth, while the Lamb’s Rock is apt for a fun filled family picnic. The Sim’s Park is another quaint destination of 12 hectares’ land, for tourists looking for some quiet moments. After this we drive to Kodaikanal. There is an overnight stay here. After breakfast we head towards the Coakers Walk. Walking hand in hand this 1 km pathway inhaling fresh air and touching the clouds is a romantic trait that you have never done before. The cool splashes of the Bear Shola Falls and the stunning Pillars Rocks takes you close to the blissful nature. Rejuvenate yourself at the 20.5 acres of Bryant Park, witnessing an amazing collection of 740 species of roses, 325 types of cacti, trees and shrubs. Bid goodbye to the day enjoying a tranquil boat ride over the star-shaped Kodaikanal Lake. This lake is a natural shelter for different kinds of birds and the air fills with melodious tweets as these return home at sunset. There is an overnight stay at the hotel. After breakfast our guide helps you check out from the hotel and board your flight from the Coimbatore airport. With this the trip comes to an end.